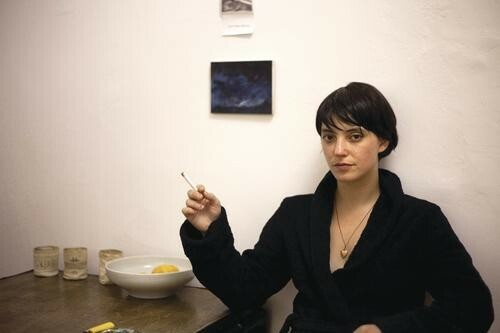 When Sharon Van Etten last appeared in Pittsburgh, it was January 2010. She was on the heels of her first full-length, Because I Was In Love, issued on the neo-hippie label Language of Stone, a subsidiary of Drag City. It was an album reminiscent of the lilting freak-folk popular in the mid-'00s, but carried a currency that foretold a bright future for the Brooklyn-based singer-songwriter. Still, the huge critical and popular success that her second album, Epic, found last fall was a surprise to some -- not least among them Sharon Van Etten. "I had no idea -- I'm still kind of blown away that this is happening," Van Etten says of Epic's success. She credits the arrangement and full-band orchestration she pursued on the album with producer Brian McTear as one possible reason for its success. "I'm definitely proud of my first record, too, but it's not as diverse as this one," she says. "Because every song is so different, I think it appealed to a lot more people this time around." Epic has, fairly, been described as a showcase of confessional songwriting. At the opening of the first track, "A Crime," Van Etten warns: "To say the things I want to say to you would be a crime/ To admit I'm still in love with you after all this time?/ I'd rather let you touch my arm until you die." The song goes on, wordy narrative verses draped over a simple, alternating guitar progression, until it reaches the simple chorus: "Never let myself love like that again." The instrumental simplicity is a recurring theme on Epic; the virtuoso performances are, time and again, rendered by Sharon Van Etten's voice, and her mind. The fourth track, goofily titled "Dsharpg" (home tablature-makers take note), is practically a drone on harmonium, but features some of Van Etten's most beautiful -- and seemingly effortless -- vocal calisthenics. The final track, "Love More," verges on Dirty Three territory, with its musical simplicity and implicit resignation, as she describes a restrictive relationship and its long-term effects. But with all the earnestness in her songs, Sharon Van Etten doesn't take herself too seriously: This is a woman who sells T-shirts with a logo that resembles Van Halen's. She monitors her own press and web buzz, and on Twitter, she has a tendency to broadcast messages that others post about her -- even when they're negative, or irrelevant. "Is Sharon Van Etten a lesbian (via half the songs on Epic)?" goes one tweet she's poked fun at. "Just tried to give Sharon Van Etten's music a chance. When I woke back up, it was still annoying," says another. "I have the inner publicist in me," says Van Etten, who worked in PR for her current label, Ba Da Bing, before extensive tour schedules made that impossible. "I want to see what people are saying about my shows, so I constantly check [the web]. I've been trying to get out of that habit. But every once in a while I'll read something that'll just slay me, and it'll totally ruin my day. [Reposting the negative feedback] is just kind of a check on myself -- to not take it so seriously. And to call out people who think they can write whatever they want on the Internet -- like, everyone's a writer now." The more prominent writers, though, largely agree that Sharon Van Etten is something special. Epic received a healthy 7.8 rating from Pitchfork, the arbiter of indie cool; Dusted Magazine noted that "the more one listens, the better it works." Her recent Brooklyn show was commemorated with a caricature in The New Yorker. Another good test of an artist's long-term value is her appeal to other musicians. Van Etten has shared the stage with, and received high praise from, TV on the Radio's Kyp Malone, and collaborated with The National. She counts among her fans fellow New Jersey native Ted Leo. "I actually just found out that his aunt and my father sat next to each other in school! Isn't that funny?" Though much of her spring tour has consisted of headlining dates, often with friends Little Scream, Van Etten's Pittsburgh date finds her opening for Iron and Wine at the Carnegie Music Hall of Homestead on Thu., April 28. In early summer, she'll be on the festival circuit -- Sasquatch, Bonnaroo -- and working on her next studio album. "Then I think I'm gonna give myself July and August off," she says, sounding a bit tour-weary. It's OK, Sharon. You've had a pretty epic year.